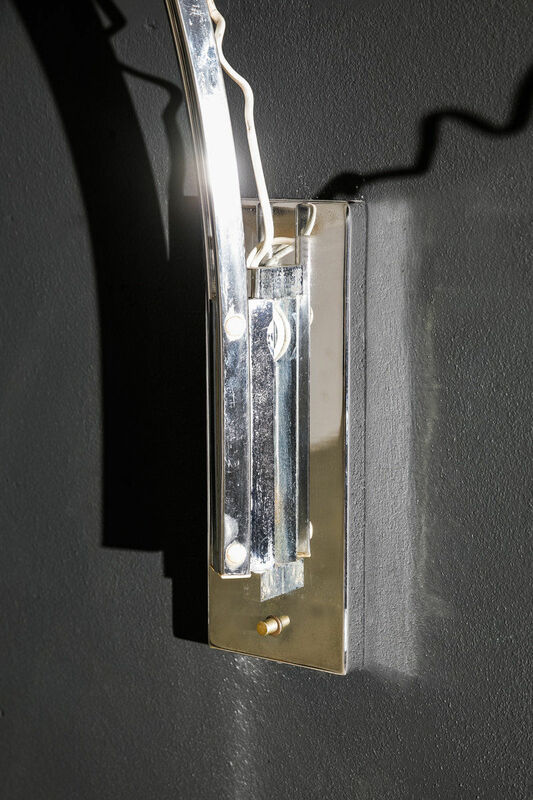 Arco wall light by Goffredo Reggiani | Castorina & Co.
Beautiful Italian telescopic wall lamp by Goffredo Reggiani from the 1970s. 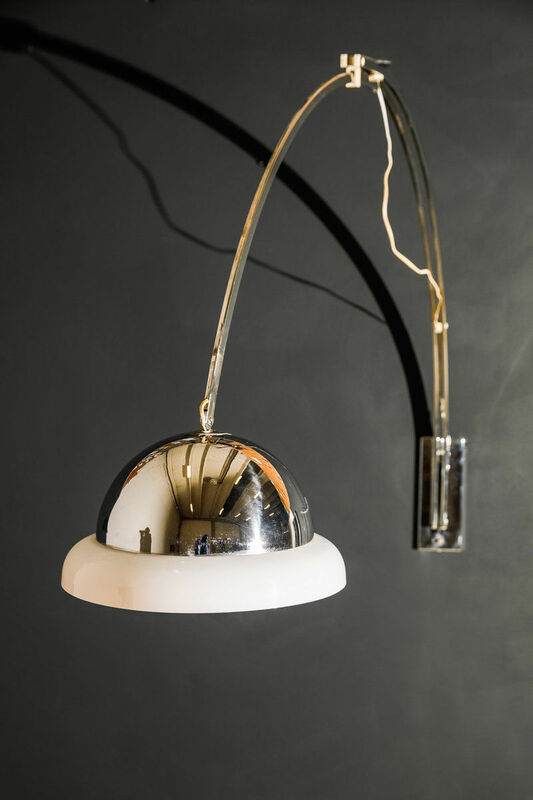 The lamp is manufactured in chrome with a round Perspex hood. 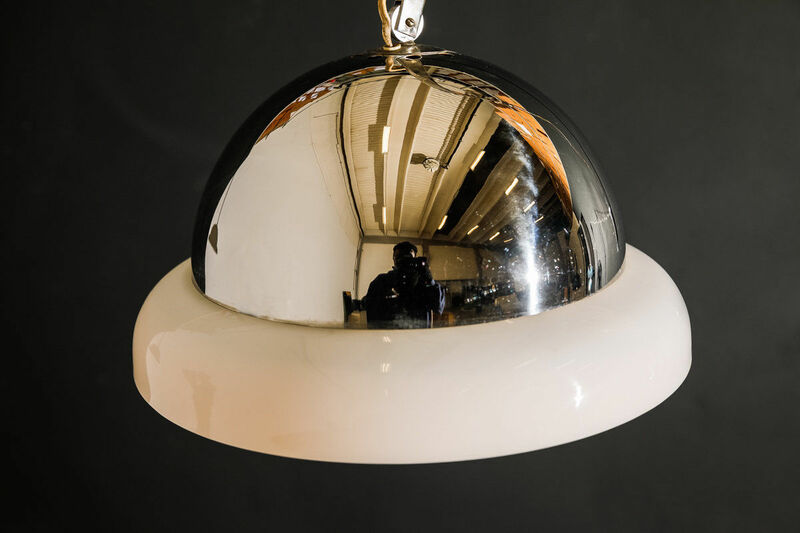 This hood provides a beautiful light output. 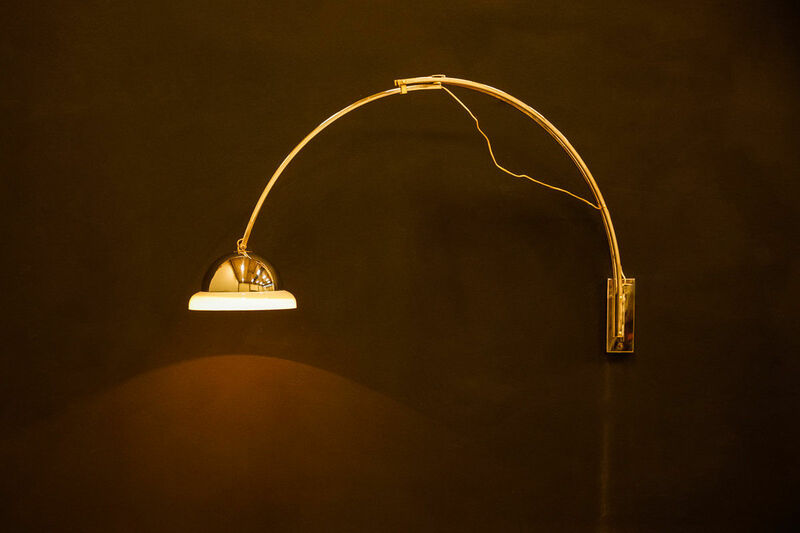 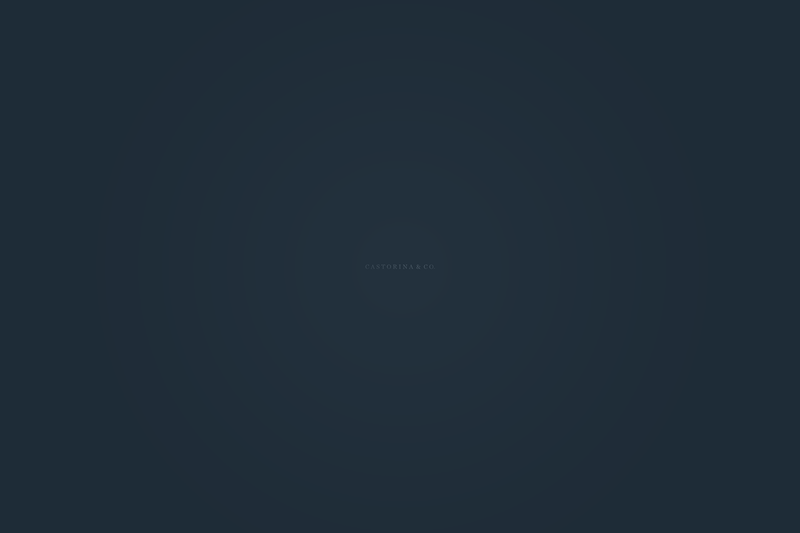 The lamp is adjustable and rotatable with the hinges in the base. 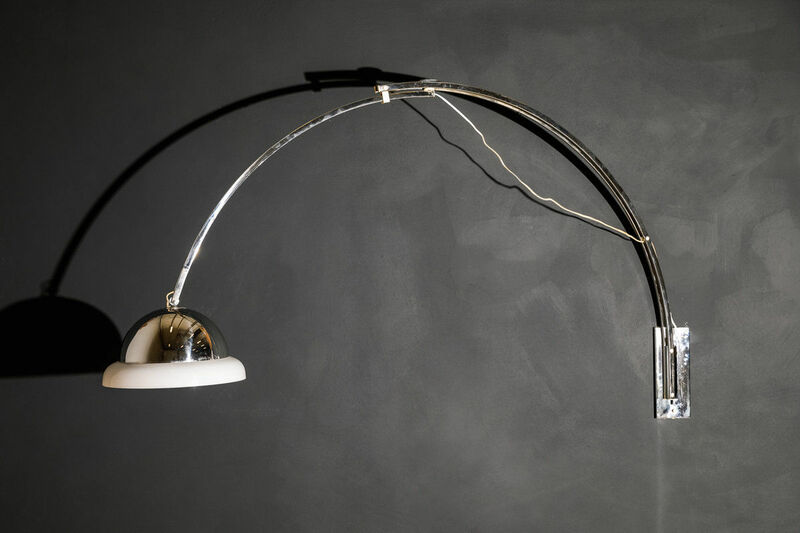 In addition, the arm is extendable so the lamp can be adjusted as desired. The hood is also adjustable by a bullet weight.The arm is adjustable to about 2 m.